Please join us and bring your business cards to our August Networking Event held at the Greene Turtle in Locust Point! Come route for the hometown Orioles in September as they battle the Tampa Bay Rays and for the American League pennant. Our Charity Event will be held at Mother's Bar and Grille in Federal Hill on Charles Street 3 hours prior to the game then tickets to the game. Tickets are $ 45.00 please call the office email Kevin Anselmi for further details. Mark your calendars! The annual South Baltimore Network's Christmas Networking Event is going to be December 5th, 2016 and will be held at the Greene Turtle on Whetstone Way in Locust Point! Please bring a new unwrapped toy to benefit the Family Health Center. More details to come!! 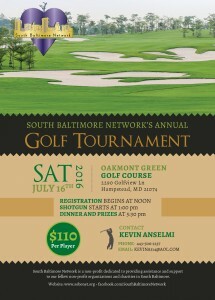 Please join us for a fun filled day of golf, networking, and a steak dinner afterwards. Come join us in our 14th Annual Golf Tournament. 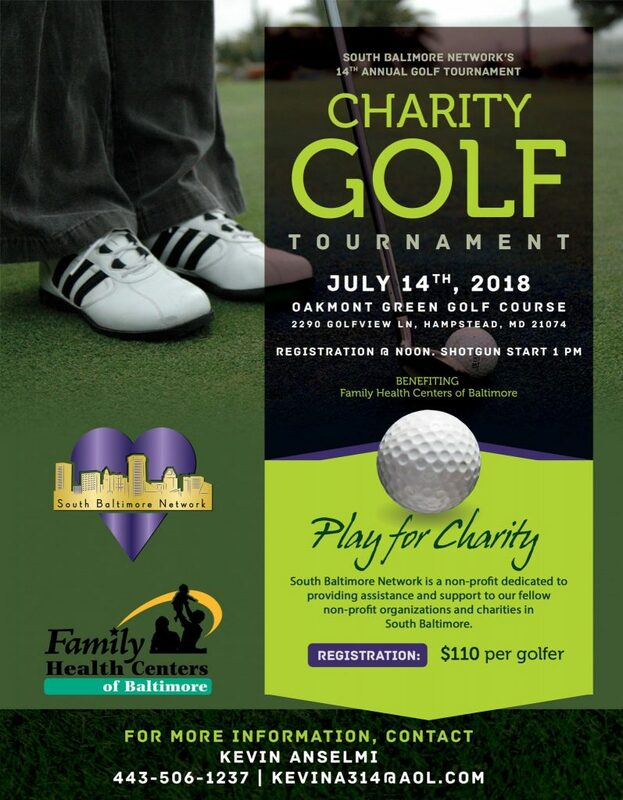 July 14th 2018 All proceeds to go to the South Baltimore Network and The Family Health Centers of Baltimore! Lunch and Steak Dinner are included! Lunch is at 12pm followed by a shotgun start at 1:00 pm.